Yesterday I was stuck at a gas station in the city of Medina, Ohio for an hour. It was there that I met the saddest young cat, probably between 6-9 months old based on his/her size. 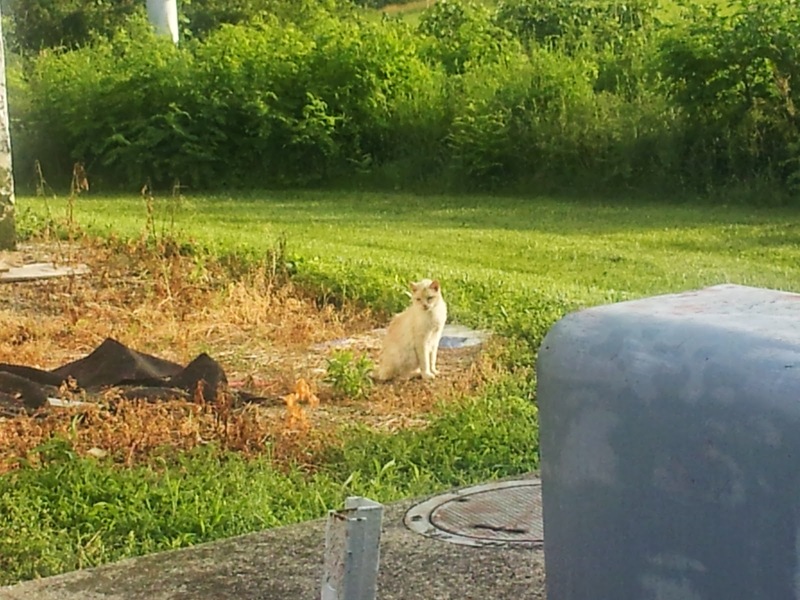 The pictures are a little out of focus, but you can see that it had white and tan markings, beautiful blue eyes, and matted fur. I could see fleas or similar insects on his coat, and his left ear appeared to be bitten. He had trouble walking, and it was difficult for him to chew food as he appeared to have either no teeth or very few. The cat was so friendly and desperate for love that he was walking all over the tiny gas station parking lot, bringing him at risk of getting run over by a truck. 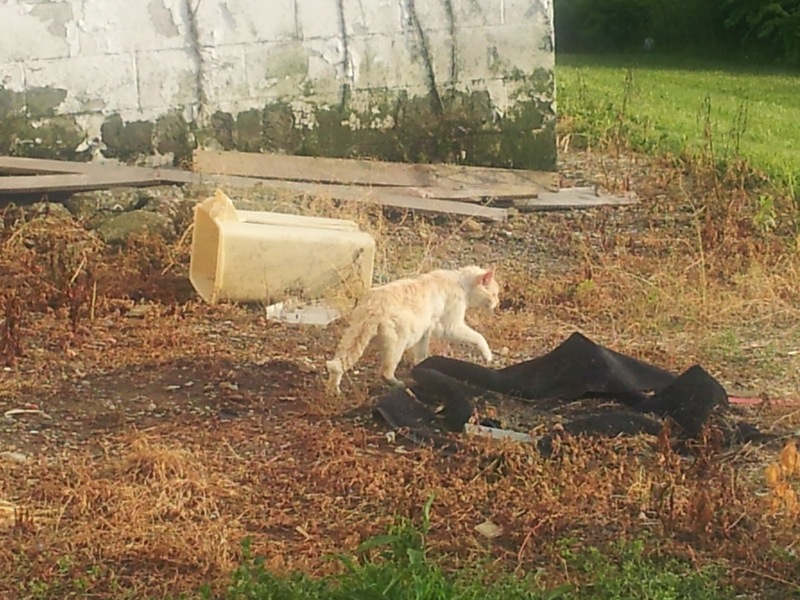 I went into the gas station and bought him a can of wet cat food, and when I put it down for him, I realized that this poor cat was likely blind. He wanted the food, but he could only sniff for it and seemed to look right through me. I put down the food and he took a very long time to eat it despite wet food typically being easier for cats to chew. I called the Medina SPCA, but since it was Sunday, they were closed and I have not heard back. I tried calling the Cleveland APL, but they were also closed and only take animals if they are dropped off and I had no way of transporting the cat. The local animal shelter still uses the gas chamber (according to a google search anyway) so I could not call them. When I left, I cried about having to leave this cat in these horrible conditions. If I didn't already have 2 cats, I likely would have taken him with me, but I was hours from home and couldn't bring a very ill cat in with my own cats and risk their health and safety. It was still one of the hardest things I have had to do. Please, if you live near Medina or can contact their SPCA, help this cat. I literally can't stop thinking about his sad little face just wanting a little love and attention. I was told that the cat has been hanging out at this station for at least a week, but I can't imagine that he will survive much longer on his own. In honor of the last day of 'Adopt a Cat month', please help this little guy survive to at least experience some compassion. The address of the gas station that I found him at is 2968 Ridge Rd, Medina, OH 44256.